What is a Collaborative Action? Collaborative Actions are small scale projects that build community agency, engage local voices and connect to long term community goals. They include community collaboration at their core, and can cultivate a seed of possibility, incentivize moving an idea into reality, and fill a gap that there may not otherwise be time or money to invest in. They are typically short in duration and can be permanent or temporary, tangible or intangible, and may include creative placemaking activities like mapping, art installations, or community events. 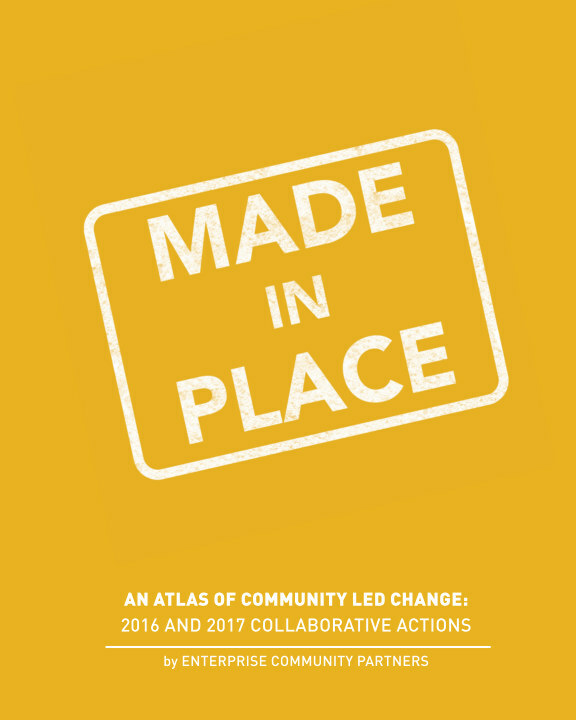 Made in Place, highlights the lessons learned from Collaborative Action Grantees from 2016-2017 and points toward upcoming hurdles and goals that communities face in doing this important work.